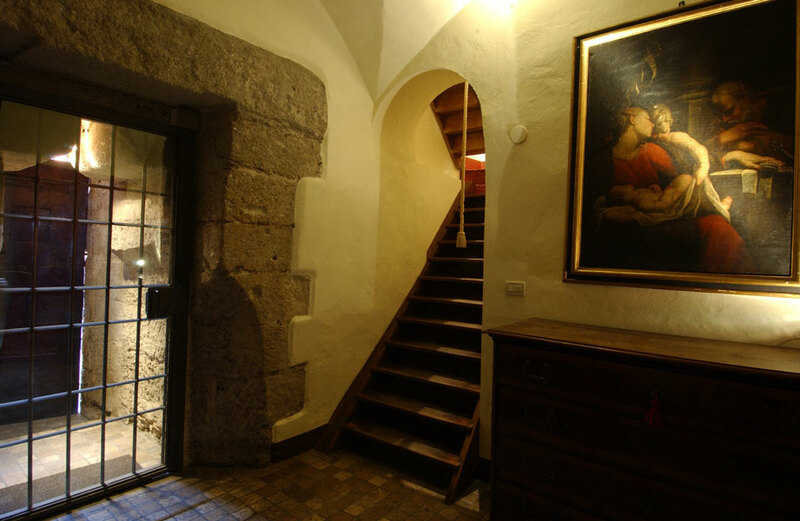 Imagine sleeping in a 900-year-old tower in the heart of a medieval town in Italy. You can fulfill this fantasy in Bologna, where the Prendiparte Tower, one of the few remaining towers in town, has been converted into a bed & breakfast consisting of one multi-level suite. It sleeps up to four people but it is generally reserved by couples, especially to celebrate an anniversary or a birthday or simply to spend a romantic night in a magical building suffused with history. The tower sits right in the center of town, in the small Sant’Alò square. Many locals do not know it exists. 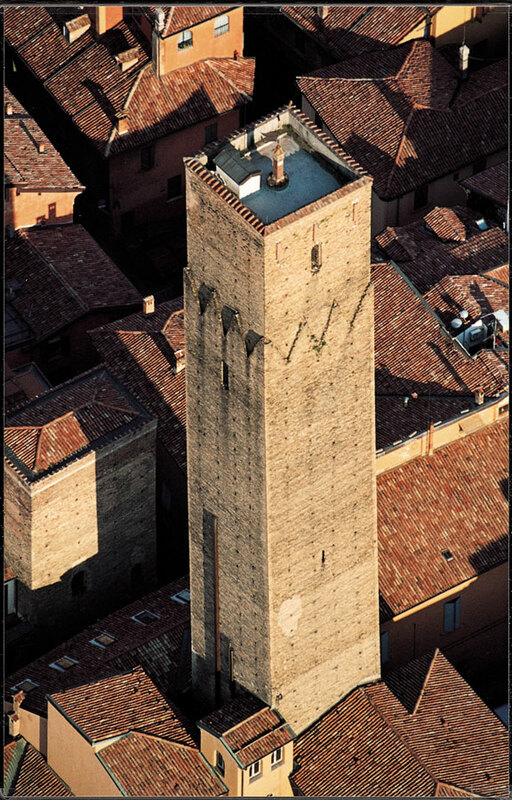 Yet, at 60 meters, it is the second tallest tower in town, second only to the Torre Asinelli, the symbol of the city. Thanks to its central location, guests have easy access to all that Bologna has to offer, from historical buildings and churches to cozy little squares, from restaurants serving typical Bolognese food to high-end stores of Italian and international designers. But, as soon as you step back into the tower, you find yourself in a different dimension, surrounded by silence and history, the outside world fast forgotten. The tower has 11 floors and a rooftop terrace. The first three levels consist of the living room, the bedroom loft and bathroom, and the kitchen/dining room. To learn about its tumultuous history, visitors can enjoy a guided visit of the tower through all 11 floors up to the rooftop terrace. The name Prendiparte, which means “take sides,” refers to the powerful Bolognese family that built the tower in the 12th century to serve as a military post both for defense and attack (the Prendiparte were on the Pope’s side during the time when the town was divided between those who wanted independence from the Catholic Church and those who wanted to remain under its rule). At the end of the 16th century, the tower was acquired by the Catholic Church, which used it first as a seminar and later converted it into a prison for those guilty of crimes against Christian morals. Today one can still see the inscriptions, drawings and complaints engraved on the walls by prisoners. The visit culminates in the terrace, where visitors will be rewarded from climbing all those stairs and ladders with a panoramic view of Bologna, with its red roofs, medieval buildings, towers and green hills in the background, while sipping a glass of prosecco. 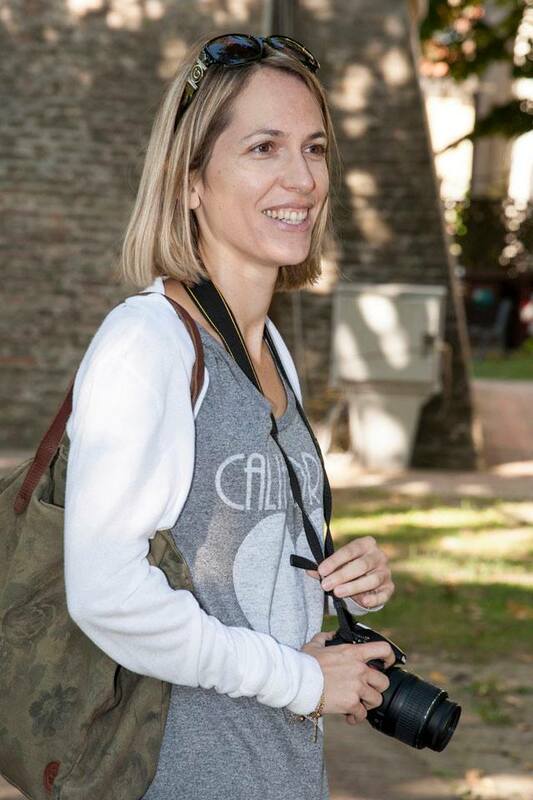 Giovanardi is happy to help guests individualize their stay. Some guests book the tower without the partner knowing in order to set up a very special surprise for them. With the help of Giovanardi, they craft a carefully arranged stay, taking care of all the details, from the type of music that will be playing upon their arrival to the rose petals that will be scattered on the bed to the breakfast treats. If that is still not enough, why not have a literary interpreter come recite one of Dante’s sonnets, enjoy some live jazz or classical music or organize a wine and food tasting with a private chef? Giovanardi can arrange this and more, with the enthusiasm and passion that characterize everything he does to share the magic of this “exclusive haven” – as he likes to call the tower – with his guests. Very nice article and visually stunning! I really enjoyed it! I visited the tower and you describe it very well. I defenitly suggest a visit.